What is the best drink for hydration? We all know how important hydration is. It really is crazy, if I don’t drink enough water, I get a headache by the end of the day. If I drink enough water, I feel so much better. I often have been asked what is the best hydration drink and I am always excited to share with them my favorite hydration drink and my daily routine. These are the hydration stiks that I drink every day. There are so many hydration drinks out there but really, which one is the best? 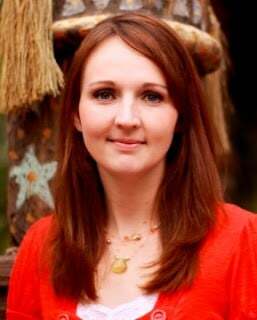 First off, I can tell you that there are many options that you instantly want to take OFF your list. This included soda, coffee, tea– etc. Hydration drinks that might taste good when you drink them but don’t leave you feeling good when you finish. 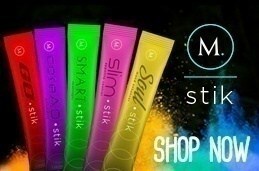 M Network Hydration stiks taste great, have immediate impact and are premium quality. Hydration is SO important, but I don’t like water. Thats not good, right? Well, before drinking my hydration stiks I would get to the end of the day and have only had about 12 ounces of water to drink. I always felt awful. I love the taste of hydrations stiks and now drink at least 70 ounces of water a day! I actually look forward to sharing with people What is the best drink for hydration and drinking my stiks every day because the flavor is so good. A.M: I have a water bottle that holds 30 ounces. You can find it HERE. I fill my water bottle up with 30 ounces of water and add 1 GO stik AND 1 Core AO stik. After lunch: I fill my water bottle up and add 1 Soul Stik AND 1 Smart Stik. Before bed. I add 12 ounces of water to my water bottle and add 1 Core AO stik. Why do I recommend these Hydration Stiks? Go Stik: Infused with vitamins, electrolytes and natural energy, M’s GO•stik functions perfectly with your body to deliver smooth, steadfast, pure energy to power you through the day. Core AO: M’s CoreAO (antioxidant) boosts your immunity with the most powerful, disease-fighting super nutrients on the planet—mangosteen, acai, bilberry, grape seed extract, and catechins. Soul Stik: Through a tropical explosion of flavor, M’s SOUL•stik permeates goodness with natural plants like Siberian Ginseng, Yerba Mate and Ginkgo Biloba to give you clarity and brighten your soul. Smart Stik: Get more done with M’s SMART•stik. From morning till night, boost creativity, motivation and overall cognitive potential with safe, proven nootropic ingredients. If you are interested in increasing your hydration for the purpose of Weight Loss, that you’ll love the combo of trim stik & burn cap. The M duo of TRIM•stiks and BURN•caps is dynamite and the key to fast-paced success – giving you the boost you need to destroy your weight loss goals. Next Post: L.O.L. SURPRISE BIG SURPRISE GIVEAWAY!